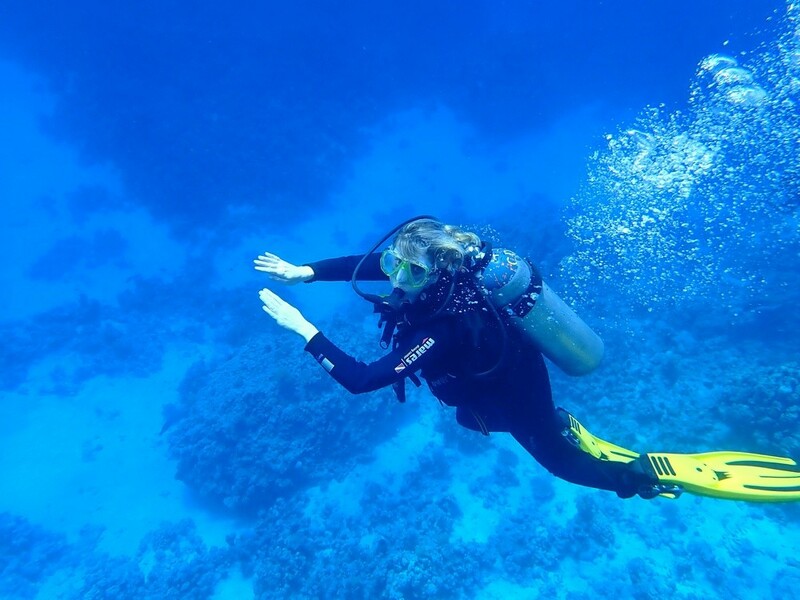 Diving in Egypt is such an amazing experience: you really need need to dive once in a lifetime. Diving has always been on my list, perhaps since my first visit to Egypt some years ago, or even before that. 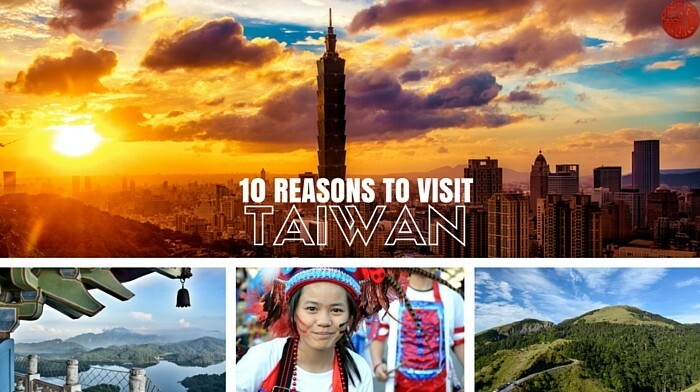 In some parts of Asia, such as the Philippines or Malaysia, I was tempted but never gave in. It turned out that Egypt would be the place where I’d finally give it a shot. 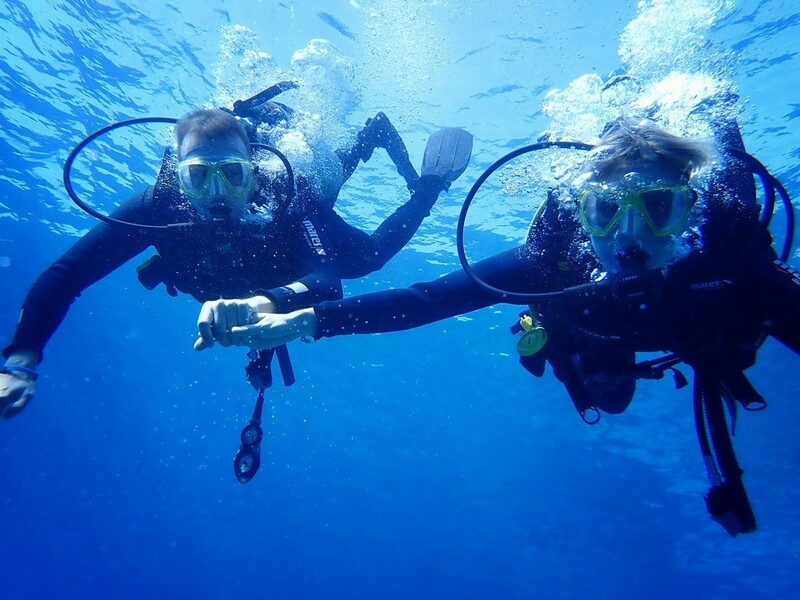 When my boyfriend expressed an interest to try scuba diving in Sharm El Sheikh, I was thrilled. Egypt, in general, is a great place to try diving. Whenever I go snorkeling there, I see multicolor corals and a wide variety of fish. And how amazing could it be once you get even deeper into this amazing world? Maybe it’s just me, but I always find the sea in Egypt to have a different, more turquoise color than anywhere else, and its surface tends to sparkle under the sun’s rays. 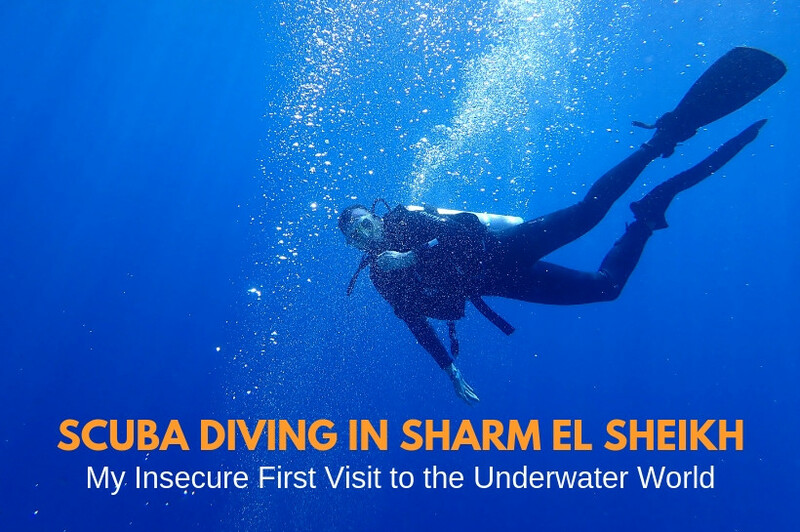 In this article, I will tell you about my own experience and everything you need to know in order to go scuba diving in Sharm El Sheikh. 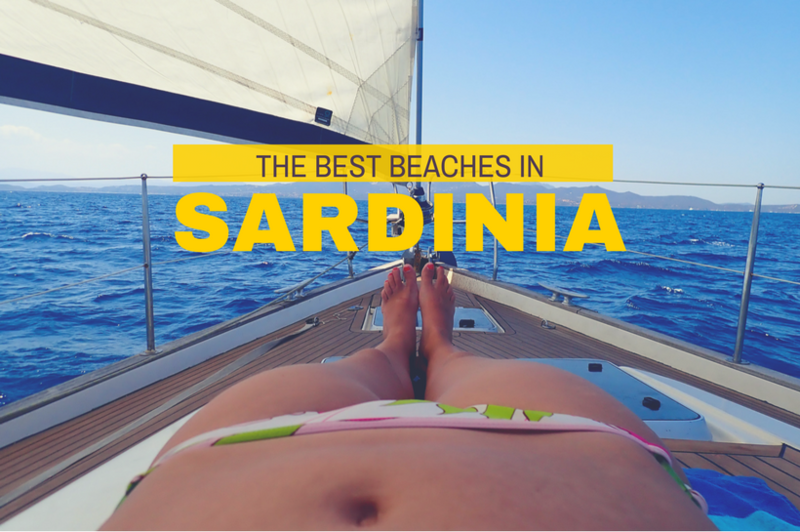 I really can’t recommend it enough! Are you fit enough for diving? Diving is one of those activities that needs you to be organized. It’s not a sport that you can do alone or spontaneously. You need a proper lesson from a qualified diving instructor, and it is advised that you check a diving school’s reviews before signing up. Be aware that there is quite a lot of equipment involved; you will need to wear a wetsuit, oxygen tank, regulator and proper mask. Another important thing to consider before diving is your health situation. You should be in a good health condition when going underwater. The high pressure a diver experiences underwater effects how his or her body functions in a variety of ways. Lung problems (such as asthma), allergies, ear issues, the common cold, and other illnesses can potentially become dangerous underwater. If you are currently taking medication (check all disqualifying conditions here), you might only be able to dive with written consent from your doctor. Usually, these conditions put you at greater risk, so I would only suggest diving if you are really healthy. And that includes not being hungover! In fact, not alcohol should be consumed for at least 8 hours before diving. Our Scuba diving day in Sharm E; Sheikh started around 8 am, when we were picked up from our hotel (read my review of Rixos Seagate here) and escorted to Circle Divers. All scuba diving students had to answer a scuba diving medical questionnaire before beginning the diving course. We met with our guide for the day, who did the debrief with us and explained to us some of the basic steps and situations that would or could happen underwater. His name was Abdelsalam and he was also the general manager of the diving school. Our dive started from El Fanar beach, a stunning bay just a few minutes drive from the Circle Divers shop. Our guide prepared the equipment very carefully, and it was time we all dressed into our wetsuits and carried all the other gear a diver has to wear. It was all pretty heavy, so walking the last few meters to the sea was pretty exhausting. My first moments in the water were special. It felt quite different to enter the water with the equipment attached to me. Also, I had to get used to breathing the oxygen from the tank. Each breath out resulted in a bunch of bubbles making their way up around my face. It is not without discomfort to breathe like this. It actually made me pretty nervous. I was feeling anxious that the equipment might stop working and I wouldn’t be able to breathe. 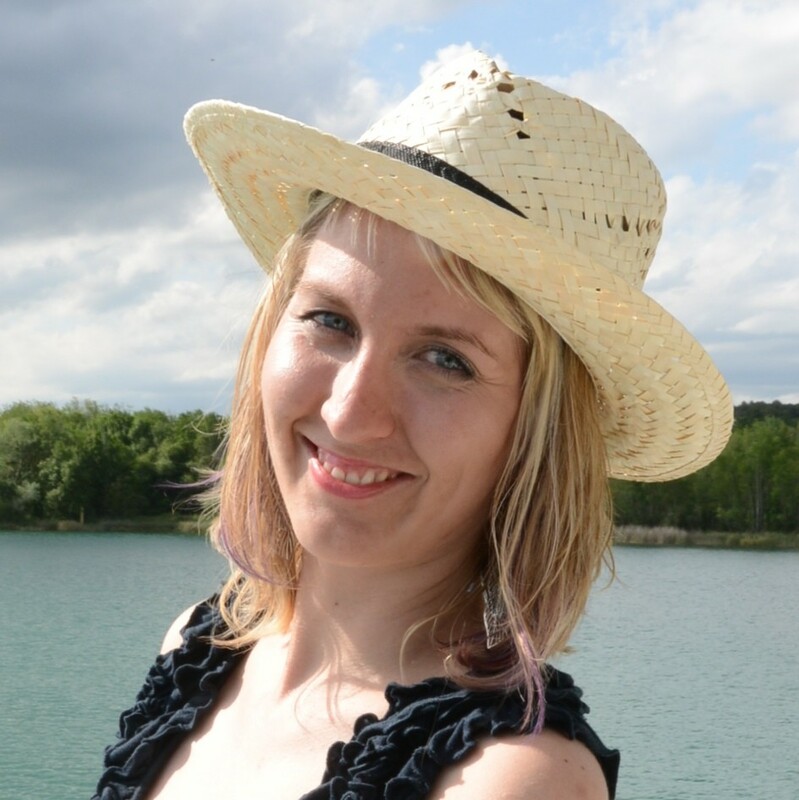 Honestly, seeing the deep water under me, I wasn’t sure whether I would be able to go on. If it weren’t for the amazing guidance from of our diving instructor, I would never have made it deeper. I guess Abdelsalam is used to seeing the fear of first-timers, and was great in helping me to overcome it. He simply instructed me to stay at his side, follow along, and just breathe. He then proceeded to take us along a simple route, and we just followed. Using hand gestures, he regularly had us confirm that we were doing OK.
By making these baby steps, we slowly felt more secure and began exploring the underworld world around us. The deepest we got was 8 meters. We saw so many colorful fish, corals, and other creatures, and everything was so much more intense than when snorkeling. As a diver, you simply get to see more and become part of the underwater world for some time. The experience was both exciting and scary. Despite the challenges, I even tried to take some underwater pictures to capture some memories of those beautiful scenes. We loved the location of our diving lesson so much that we actually decided to stay there longer after the time. 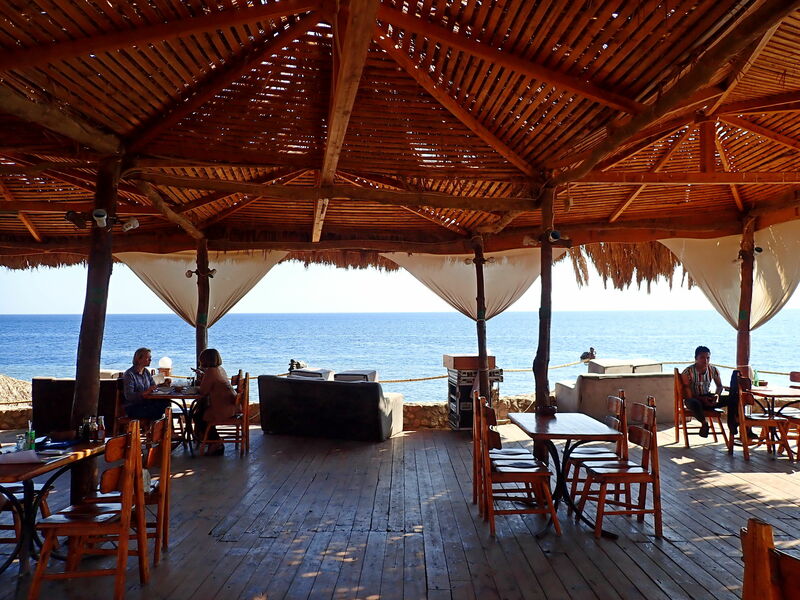 El Fanar beach is a chilled out spot, with sun loungers and a bar. We said goodbye to our guide, Abdelsalam, who gave us contact info for a driver so that we could come back to the hotel later, and we used the rest of the afternoon to enjoy sunbathing and swimming sea. There was a great snorkelling area, so we made a good use of snorkelling gear that we had with us. In fact, we stayed there until sunset. If you want to have the same experience, there were some lessons learned on our side. We booked the tour via our tour guide contact, and we paid the standard price of 45 euros per person, including the pick-up. Like most experiences in Egypt, we knew the agency got a commission for booking this for us. On the other hand, it was nice to book the trip from a company who was organizing our whole holiday and seemed somehow responsible for us. Just in case things didn’t work out, we felt like we had a contact person. After our positive experience, we will always contact Circle Divers directly if ever going back to Egypt. The other thing you can do is to book your experiences online. I can recommend this scuba tour which includes lunch or, if you want to get in more dives in one day, you can go for this tour. In Egypt, there are a lot of travel agencies out there, so please keep in kind that many focus on selling, and they may not ask you questions about your health like they should. Also, please don’t let them talk you into big diving packages when you haven’t even tried diving before. One more thing: it is good to consider whether you will book two dives or just one dive. We stuck to one, but usually the tour agents (as it was in our case) try to talk you into more dives, so that “it is cheaper”, in order to get more commission. 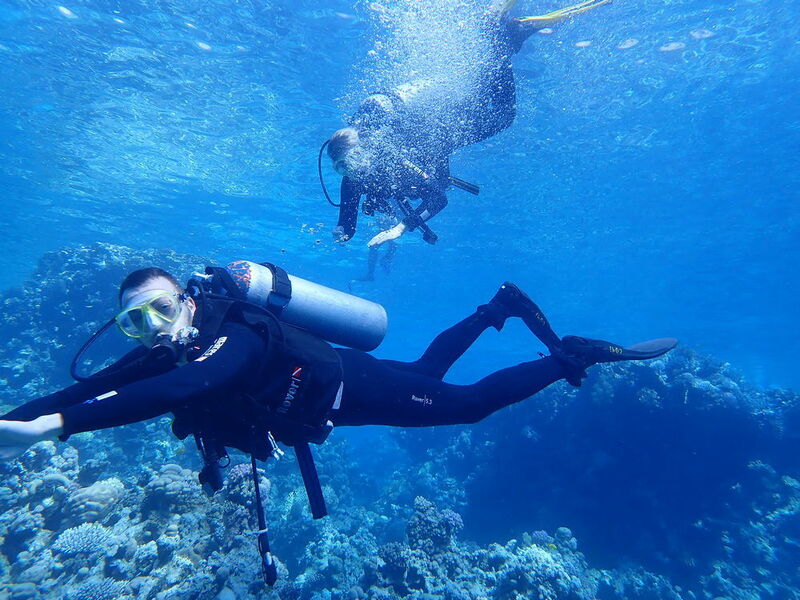 Scuba diving in Egypt is an amazing experience. The days when diving was too dangerous for “normal” people to do are over, and basically any healthy person can give it a try. You need a great diving school and a reliable instructor on your side. We had a positive experience with Circle Divers, and we would definitely recommend them for scuba diving in Sharm El Sheikh.